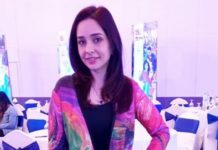 The 14th Edition of HUM Bridal Couture Week 2017 will be choreographed by former supermodel Vaneeza Ahmed. 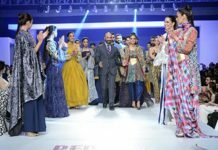 Twenty one of the country’s best and burgeoning bridal designers will present their latest collections on the runway, along with The Classical Red segment featuring the gurus of Pakistan’s fashion industry. 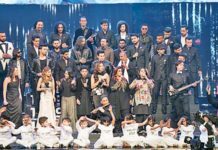 Pakistan’s entertainment network HUM Network Limited has announced the names of participating designers, makeup artist, models and choreographer in the 14th edition of its most anticipated fashion event, QMobile HUM Bridal Couture Week 2017 (QHBCW17) styled by Sweet Touch. 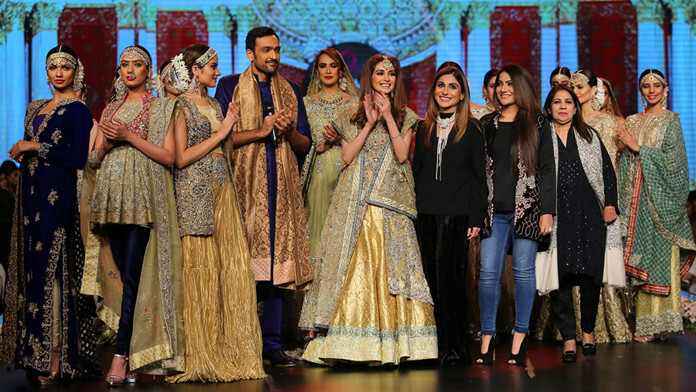 Read: 14th QMobile HUM Bridal Couture Week dates announced! The Classic Red segment of QHBCW will feature prominent names of our industry such as Ali Xeeshan, Faraz Manan, Adnan Pardesy, Elan, Farah Talib Aziz, Karma, Sania Maskatiya, Shamaeel Ansari, Tena Durrani, Maheen Ghani Taseer, Mehdi, Misha Lakhani, Zaheer Abbas and Zara Shahjahan. 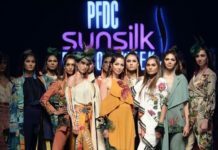 The designer line-up includes Amir Adnan, Ahsan’s Menswear [UK – International], Annus Abrar, Asifa & Nabeel, Arsalan Iqbal, Ayesha & Usman Qamar, Amina Yasmeen by Mansoor Akram, Emraan Rajput, Fahad Hussayn, Faika Karim [UK – International], Hassan Shehryar Yasin, Impulse by Aisha Farid [USA – International], Naushad Imdad, Nickie Nina, QMobile Star Gogi by Hassan Riaz, QMobile Star Ahmad Sultan, Rizwan Ahmed, Saadia Mirza, Sonya Battla, Umsha by Uzma Babar and Yasmin Zaman.